Call us at (703)969-5917 or email dru@luciafarm.com for more information. March 29-31 Riding Season Prep with Meggie Andrews. April 25-28 Ranch Horse Versatility with 6* Master Instructor Dave Ellis. June 7-9 Advancing Horsemanship with Jake Biernbaum. August 30-Sept 1 Horseman’s Clinic with Jake Biernbaum. Sept 2-8 Horse Development with Jake Biernbaum. 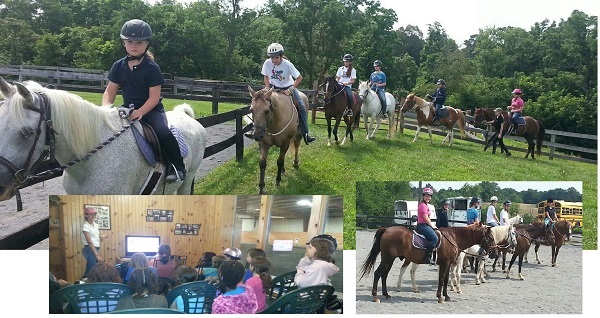 Lucia Farm hosts horsemanship clinics throughout the year. Please contact us for information on the next scheduled clinic. Lucia Farm's camp enrollment form can be downloaded here. Adobe Acrobat Reader is needed to view the file. Lucia Farm requires a release from all participants which can be downloaded here. Adobe Acrobat Reader is needed to view the file.